Today we have: Barbaric Splendor Miniatures Taking Pre-Orders for Llama Queen Figure and More Lizard City Bases Available From Tabletop-Art. Pre-orders for the Llama Queen (metal), War Llama, and Llama Queen (limited master resin casting) are now up at the webstore. I had many inquiries about acquiring the Llama and Llama Queen as individual pieces, so this pre-order will allow me to order the proper amount to fulfill that need. I am also offering a very limited number of resin masters of the Llama Queen (done by Grey Matter Figures, who do the resins for Hasslefree Minis) - once these are gone there will be no more. They are the closest to the original sculpt you can get. 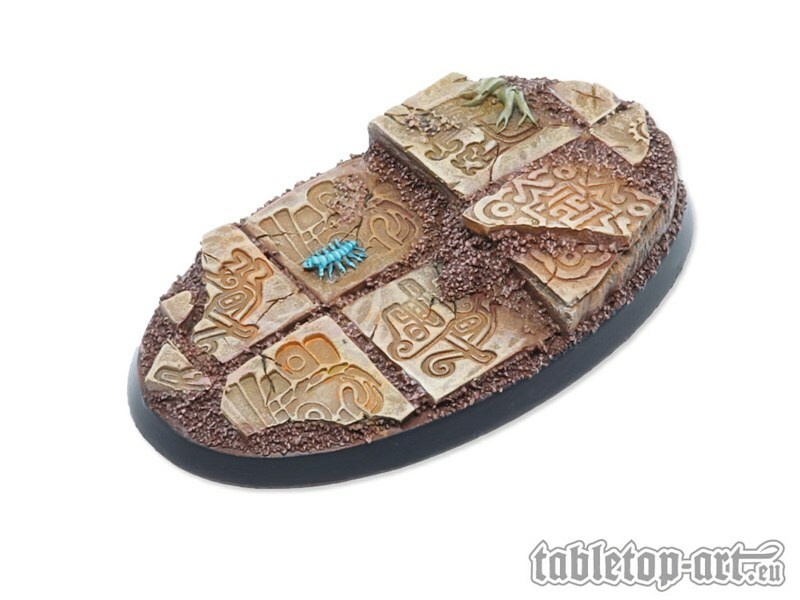 We have some new Lizard City bases in the assortment: Starter DEAL round, 25mm, 25mm DEAL, 40mm, 40mm DEAL, 50mm 1, 50mm 2, 55mm 1, 60mm 1, 60mm 2, 105mm Oval 2, 75mm Oval 1, 75mm Oval 2 and 75mm Oval 3.